Eleni mi fydd Parti Ponty yn . . . . . . . .. . . . .. . . . .
Bydd y band ... yn . . .. . ..
Rhywbeth arall .. . .
Candelas is a contemporary band from North Wales who play alternative rock music with an element of blues. They established the band in 2009 and have performed regularly since. Following the success of their first EP, ‘Kim y Syniad’ in 2011, Candelas brought out their first full album in 2013 and then their second album later on in 2014. The band is set up of five enthusiastic members; Osian Williams, Ifan Jones, Tomos Edwards, Gruffydd Edwards and Lewis Williams. They have received numerous awards for their work including Best Band both 2013 and 2014, Best Album, Single and Album Cover in 2014 with ‘Gwobrau’r Selar’. Similar to the band Y Cledrau, Candelas is a part of the IKaChing Recording Label. Yr Oria was formed in Blaenau Ffestiniog in 2016, which combines four members; Garry, Gerwyn, Gareth and Sion. They are known as an alternative rock band in the welsh music industry. 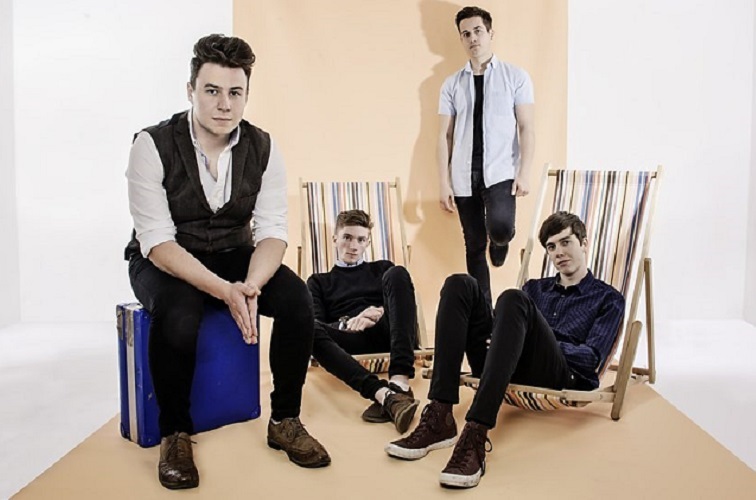 They currently have four singles and their first single was ‘Cyfoeth Budur’, which also appeared on Track of the week on Radio Cymru back in December 2016. 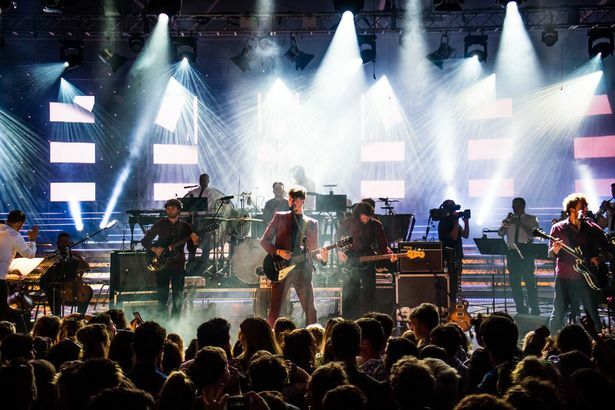 The band have performed across Wales at festivals such as the Royal Welsh Show, Sesiwn Fawr, Roc Ardudwy and Twrw Festival at Clwb Ifor Bach in Cardiff. Yr Oria is a new band in the welsh music industry, their newest single is ‘Gad o lifo trwy’r dwr’ which was released in November 2017. Mei Gwynedd is a very familiar face in the welsh rock industry for almost 30 years. He is a former member of Big Leaves, Sibrydion and Endaf Gremlin. He also has talent and a lot of experience in the producing field and has worked with young bands such as Breichiau Hir, Hyll and Rifleros. Mei travelled all over Wales during 2015 as part of the ‘Pethau Bychain’ campaign. During his trip he held workshops with children and young people to record snipets for his new song. Alys Williams is a native of Caernarfon and is the mother of two. She started her career when she appeared on the "The Voice" stage in 2013, where she had the opportunity to choose one of the 4 mentors, after they all showed an interest after her blind audition. Alys's career has gone from strength to strength and has taken part in a number of events including singing with the BBC National Orchestra of Wales on BBC Radio Cymru's Day of Thanks. We also see Alys often on the Eisteddfod stage. Alys has now collaborated with a number of Welsh artists including Candelas on their most popular single 'Llwytha'r Gwn'. The band Fleur De Lys originates from Anglesey and Morfa Nefyn. 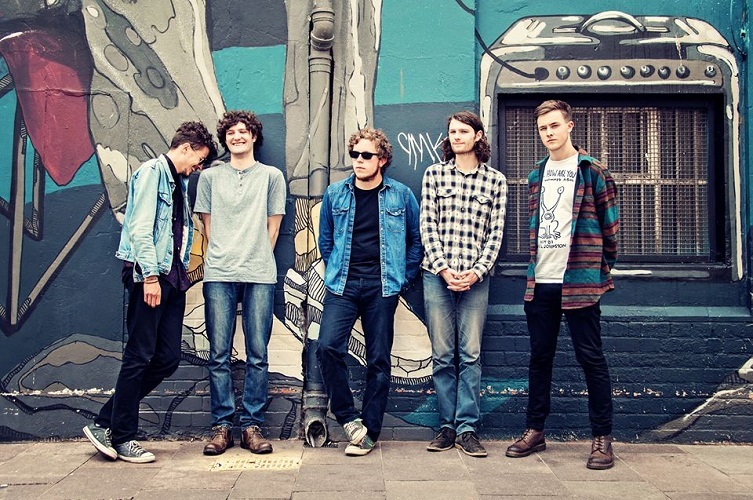 They are popular for their Welsh songs in the form of indie, rock and pop. 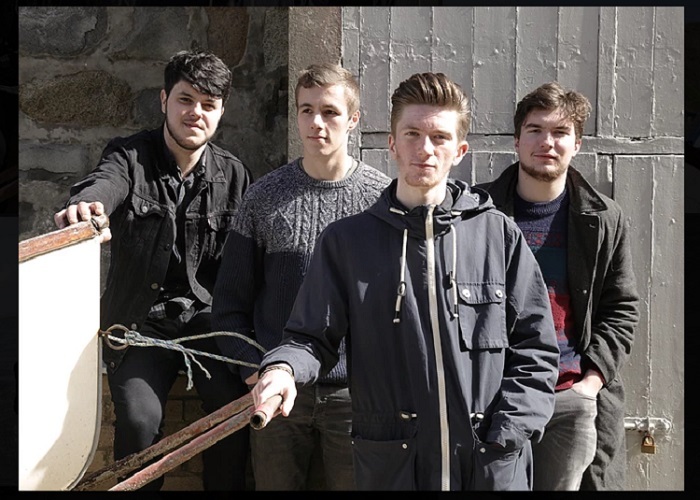 The band is a combination of four members; Rhys Edwards, Carwyn Williams, Huw Harvey and Sion Roberts. 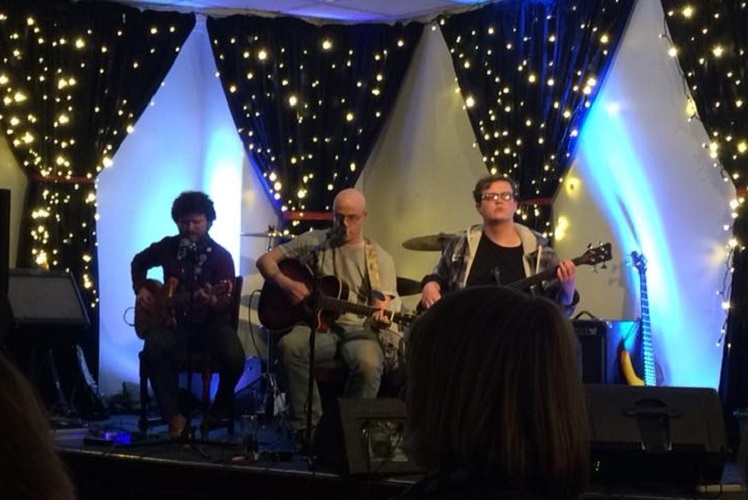 Fleur De Lys has performed in a variety of gigs across England and Wales since being part of the ‘Horizons’ project including the opportunity to record a session at the Maida Vale Studios. They are renowned for their catchy riffs and songs that raise anyone’s spirits, especially the song ‘Haf 2013’, many would agree. Y Cledrau is an independent rock band from North Wales. They are a combination of four members; Ifan Prys, Joseff Owen, Marged Gwenllian and Alun Lloyd. They have a record label with IKaChing Records and have recently launched a new EP; Un a’r ôl y Llall. They have competed in a number of Battle of the Band competitions including winning one in Wakestock. We also must remember the success of the band as they reached the final of ‘Cân i Gymru’ 2014 with their song ‘Agor y Drws’. Their latest album ‘Peiriant Ateb’ include tracks such as; Roger, Rodger!, Swigen o Genfigen and Cacen Gaws. 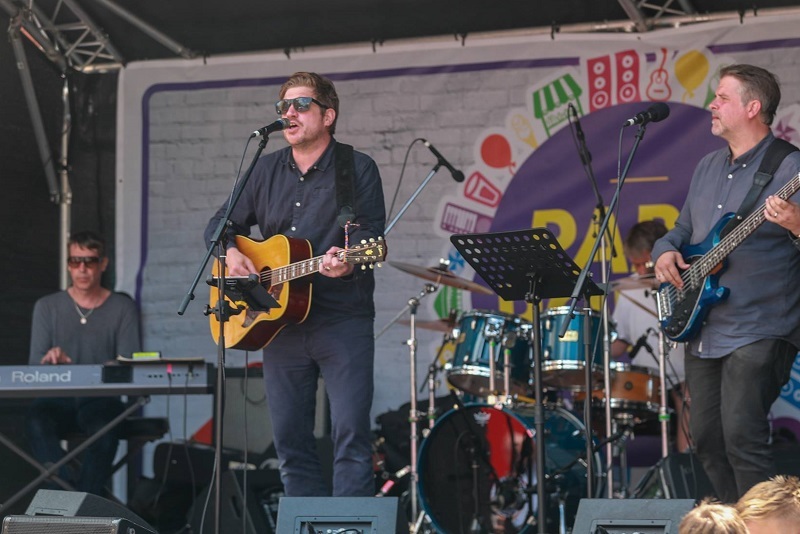 Patrobas was formed as a folk band back in 2014 with four members, Wil Chidley, Iestyn Tyne, Carwyn Williams and Gruffydd Davies. They are all from Pen Llŷn, North Wales. Their first EP to launch was ‘Dwyn y Dail’ in 2015 and since then the band has gone from strength to strength. By the end of Summer 2016 ‘ Castell Aber’ became a new single as an online demo. The most recent album launched by Patrobas is ‘Lle awn ni nesa?’ by the record label ‘Sain’. Ragsy is a well-known nobleman from Aberdare. His interest in performing and making music dates back to his younger years where he was a part of the band ‘Probe’. Ragsy’r success began to intensify as he ventured on ‘The Voice’ which is a competitive programme on BBC One back in 2013. He has now been interested in composing and performing songs through the medium of Welsh after learning the language in the last few years. 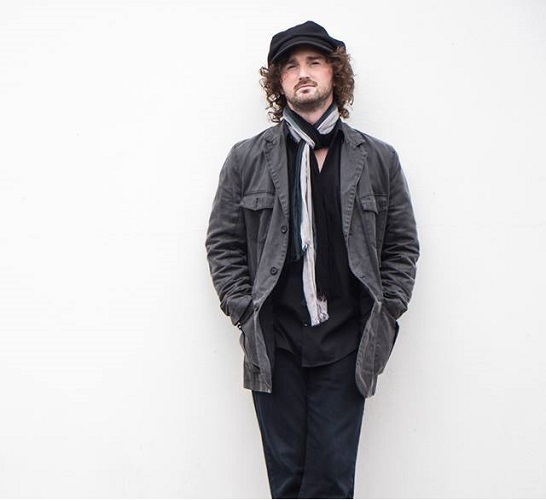 His first welsh song was launched in 2017 called ‘ Fy Hafan I’. 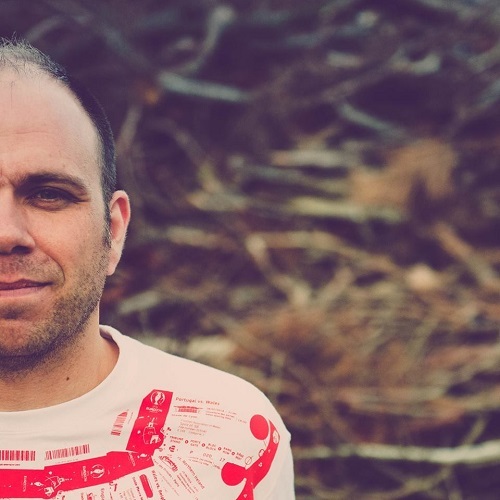 He has completely fallen in love with the welsh language and has continued to compose through the welsh language by writing bilingual singles. Ragsy was also lucky enough this year to perform a song composed by Owain Gleineister which was chosen to compete in the welsh contest ‘Can i Gymru 2018’. Bethan Nia is an award-winning artist from Pontypridd. With her harp and ethereal vocals, Bethan creates lush, dynamic and roomy melodies with crisp production aesthetics. Combining earthy Welsh folk songs with ornate pop arrangements and memorable melodies, she creates a particularly unique sound. Inspired by artists as diverse as Enya, Bjork and Kate Bush, Bethan has been working on her debut full-length album, “Ffiniau”, which will be released later in 2018. 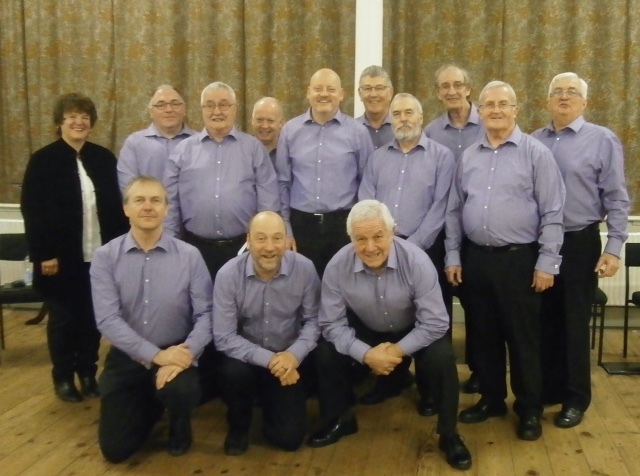 Based in Efail Isaf, they’ve been going 21 years and have won 8 times inthe National Eisteddfod. Now reduced to singing on the pavements in PartiPonty! Linger awhile and listen to the boys sing some folk songs in yourunique & very own 'Gwenhwyseg' dialect, plus a few humorous ditties andfamiliar melodies. They are led by Menna Thomas, an ex-Rhydfelen pupil whocame back to teach at Rhydfelen and Garth Olwg. Aelwyd Bro Taf, Iwcs, Cor Godre'r Garth, and by winning bands from Rhydywaun, Gartholwg, Cymer a Llanhari secondary schools. For four years the Menter, with Mei Gwynedd have held music workshops in RCT’s high schools, with the aim of forming bands in each school and record live music. After the huge success of last year, there will be four brand new bands from Cwm Rhondda, Rhydywaun, Gartholwg and Llanhari. Mei Gwynedd’s workshops will be held in the schools during the week leading up to the festival, where they will write contemporary Welsh music. 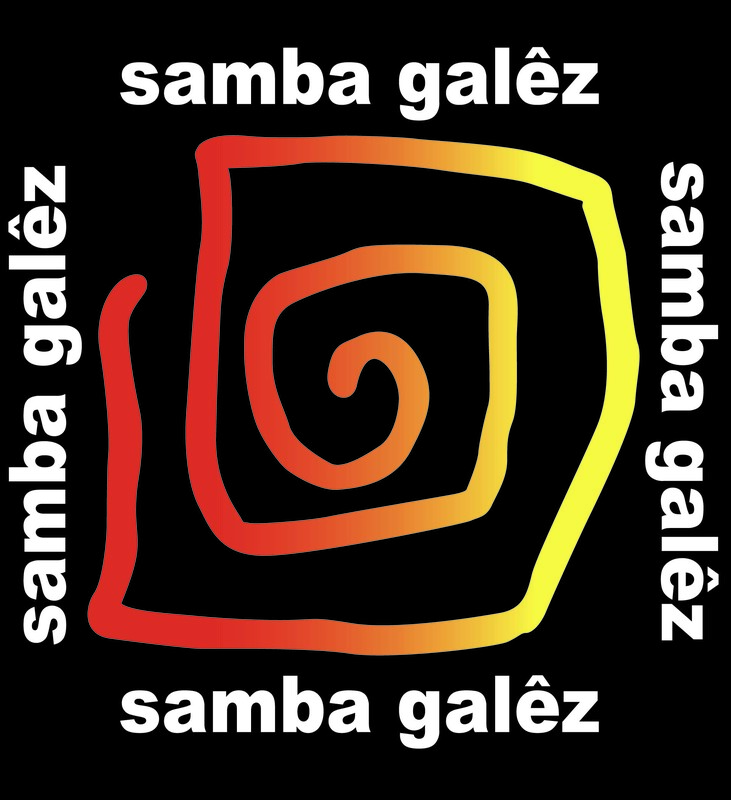 Samba Galez is a community band from Cardiff, who formed over 25 years ago. We play all around South Wales and often go further afield including regular trips to Bridgwater, Bristol and even France. 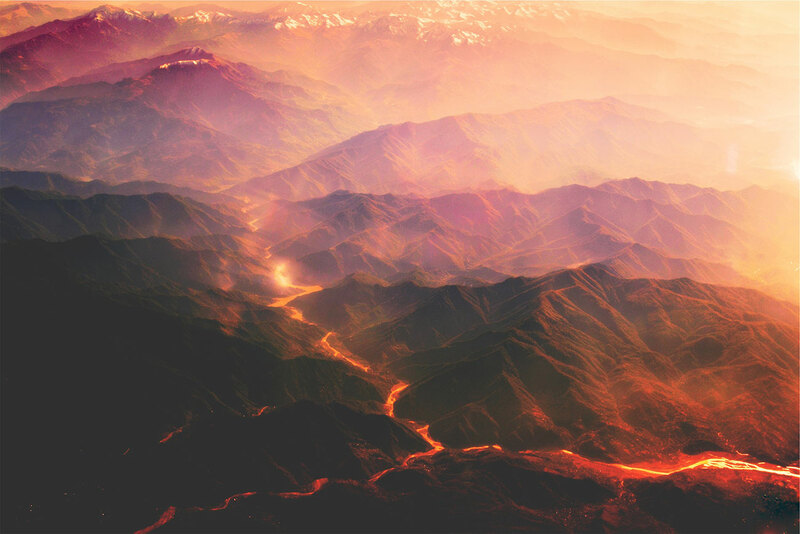 We play a mix of music from Brazil, Cuba and Africa but always have samba at the core. 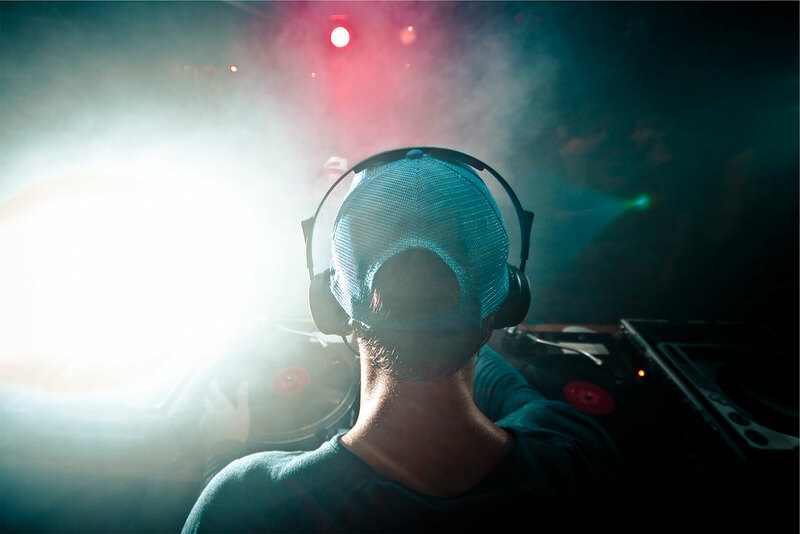 The music is sure to have you tapping your feet and ready to dance. 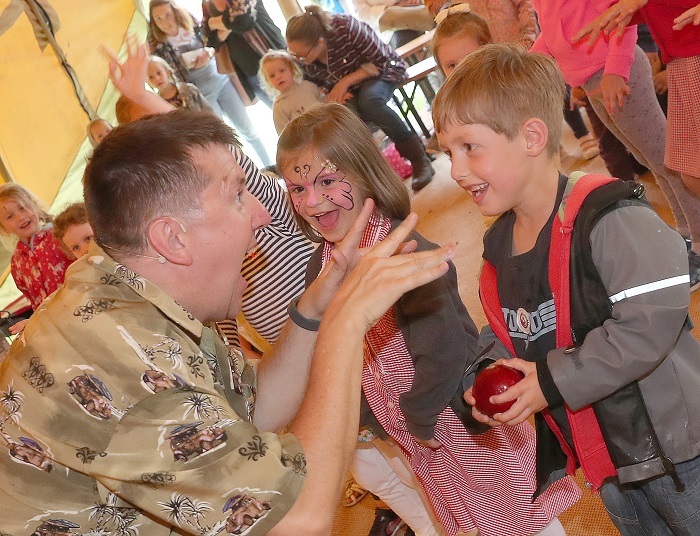 Come and join in the fun with Professor Llusern’s street magic shows with plenty of opportunity to get involved! With never ending enterntainment for every age! 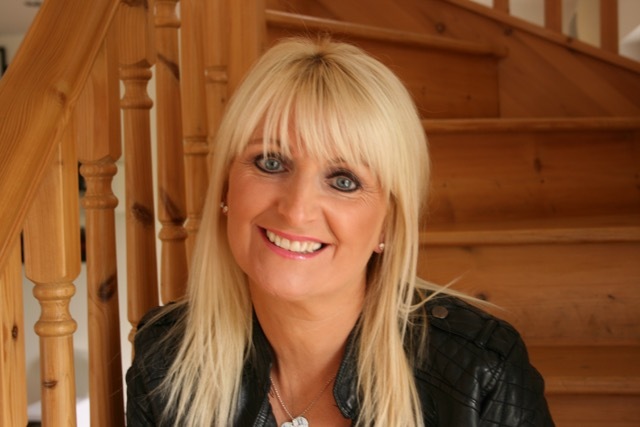 Gwenda Owen was born and bred in the Gwendraeth Valley and has graced main stages here in Wales and further afield. She won the prestigious Song for Wales before going on to represent Wales in the Pan Celtic Festival winning out there in Ireland as well. She is a familiar face on our television screens as well as on radio.She has released numerous albums including collections of original songs for children. She is looking forward to performing in her children’s show at Parti Ponty. There will be singing, some puppet characters and a whole lot of fun for all the family. Additionally on Stage 3, there'll be entertainment for the younger children by the multi-talented entertainer Martyn Geraint, and performances by local Primary Schools. Band cyfoes o Ogledd Cymru yw Candelas sy’n chwarae cerddoriaeth roc amgen gydag awgrym o “blues”. Maent wedi sefydlu ers 2009 erbyn hyn ac yn perfformio’n rheolaidd. Yn dilyn llwyddiant eu EP cyntaf sef ‘Kim Y Syniad’ yn 2011 daeth Candelas a’u halbwm cyntaf allan yn 2013 a’u hail albwm yn 2014. Mae’r band wedi ei sefydlu o pum aelod brwdfrydig sef Osian Williams, Ifan Jones, Tomos Edwards, Gruffydd Edwards a Lewis Williams. Maent wedi derbyn nifer o wobrau am ei gwaith gan gynnwys Band Gorau 2013/14, Albwm a Sengl Gorau 2013 a hefyd Clawr Gorau 2014. Fel Y Cledrau mae Candelas yn rhan o label recordio IKaChing. Ffurfiwyd Yr Oria ym Mlaenau Ffestiniog yn 2016 sy’n cyfuno pedwar aelod sef Garry, Gerwyn, Gareth a Sion. Band roc amgen maent yn cael ei adnabod fel. Ar hyn o bryd mae ganddynt bedair sengl a bu eu sengl gyntaf sef ‘Cyfoeth Budur’ yn drac yr wythnos ar Radio Cymru nol yn Rhagfyr 2016. Bu’r band yn perfformio ar draws Cymru yng ngwyliau megis Sioe Frenhinol, Sesiwn Fawr, Roc Ardudwy a’r Wŷl Twrw yng Nghlwb Ifor Bach yng Nghaerdydd. Mae Yr Oria yn fand newydd yn y sin roc Cymraeg. Ei sengl fwyaf newydd yw ‘Gad o lifo trwy’r dwr’ a gafodd ei rhyddhau ym mis Tachwedd 2017. Mae Mei Gwynedd yn wyneb cyfarwydd iawn i’r sin roc Cymraeg, ers bron i 30 mlynedd bellach. Mae ef yn gyn aelod o Big Leaves, Sibrydion ac Endaf Gremlin. Mae ganddo hefyd ddawn a phrofiad yn y maes cynhyrchu ac wedi cydweithio gyda bandiau ifanc megis Breichiau Hir, Hyll a Rifleros. Bu Mei yn teithio bob cŵr o Gymru yn ystod 2015 fel rhan o ymgyrch ‘Pethau Bychain’. Yn ystod ei daith roedd yn cynnal gweithdai gyda phlant a phobl ifanc er mwyn ei recordio i gyfansoddi can newydd. Mae Alys Williams yn enedigol o Gaernarfon ac yn fam i ddau o blant. Fe ddechreuodd ei gyrfa yn y maes canu pan fentrodd ar lwyfan “The Voice” nol yn 2013, ble gafodd y cyfle i ddewis un o’r 4 mentor ar ôl iddynt hwy i gyd ddangos diddordeb yn eu clyweliad dirgel. Mae gyrfa Alys wedi mynd o nerth i nerth ac wedi cymryd rhan mewn nifer o ddigwyddiadau gan gynnwys canu gyda Cherddorfa Genedlaethol Gymreig y BBC a’r ddiwrnod #Diolchogalon BBC Radio Cymru. Gwelwn Alys ar lwyfan yr Eisteddfod yn aml hefyd yn ystod Gig Y Pafiliwn gyda Mr Phormula. 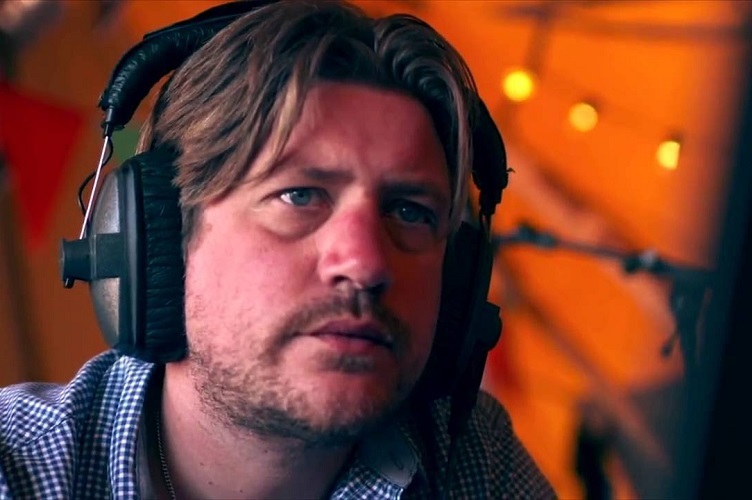 Mae Alys erbyn hyn wedi cydweithio gyda nifer o artistiaid Cymraeg gan gynnwys Candelas ar ei sengl fwyaf poblogaidd ‘Llwytha’r Gwn'. Mae Mei Emrys yn gyfansoddwr a chanwr o fri sydd wedi cychwyn ei yrfa fel artist unigol ar ôl blynyddoedd o fod yn brif leisydd yn y band enwog Vanta. Mae Mei yn wreiddiol o Fethel yng Nghaernarfon. Ei albwm diweddaraf yw Llwch sydd yn cynnwys rhai o’r traciau isod; Goleudy, Glaw Mis Awst, Haf Yma a Saetha Fi Lawr. Mae tri o’r traciau ar yr albwm eisoes wedi bod yn ‘Trac Yr Wythnos’ ar Radio Cymru. Gwr bonheddig o Aberdâr yw Ragsy yn wreiddiol. Mae ganddo hanes ers yn ifanc gyda diddordeb mewn perfformio a cherddoriaeth gyda bod yn rhan o fand Probe. Fe ddechreuodd llwyddiant Ragsy gynyddu wrth iddo fentro ar y rhaglen gystadleuol ‘The Voice’ ar BBC One nol yn 2013. Mae ef erbyn hyn wedi diddori mewn cyfansoddi a pherfformio caneuon eu hun gyda’i gitâr ac erbyn hyn hefyd wedi dysgu Cymraeg ac wedi lansio ei gan Gymraeg cyntaf sef ‘Fy Hafan i‘ yn 2017. Mae ef wedi cwympo yn llwyr mewn cariad gyda’r iaith Gymraeg ac wedi parhau i gyfansoddi trwy’r iaith drwy lansio senglau dwyieithog. Bu Ragsy hefyd digon ffodus eleni i berfformio cân a gyfansoddwyd gan Owain Gleineister ar Gan i Gymru 2018. Mae Bethan Nia yn berfformiwr o fri o Bontypridd sydd wedi ennill nifer o wobrau. Gyda'i thelyn ac ar lafar, mae Bethan yn creu melodïau deinamig a chartrefol gydag estheteg cynhyrchu grimp. Yn cyfuno caneuon gwerin daearol gyda threfniadau pop addurnedig ac alawon cofiadwy, mae hi'n creu sain arbennig o unigryw. Caiff ei ysbrydoli gan artistiaid mor amrywiol ag Enya, Bjork a Kate Bush. Mae Bethan wedi bod yn gweithio ar ei albwm llawn gyntaf, "Ffiniau", sy'n yn cael ei ryddhau yn nes ymlaen yn 2018. Gwreiddiau Fleur De Lys o Ynys Fôn a Morfa Nefyn. Maent yn boblogaidd am eu caneuon Cymraeg ar ffurf indi, roc a phop. Mae’r band yn gyfuniad o bedwar aelod sef; Rhys Edwards, Carwyn Williams, Huw Harvey a Siôn Roberts. Gweler Fleur De Lys wedi perfformio mewn amryw o gigs ar draws Chymru a Lloegr ers bod yn rhan o brosiect ‘Gorwelion’ gan gynnwys y cyfle i recordio sesiwn yn Stiwdio Maida Vale. Maent yn enwog am ei riffs bachog a chaneuon sy’n codi ysbryd unrhyw un, yn enwedig y gân ‘Haf 2013’ byddai nifer yn cytuno. Ffurfiwyd Bwncath nol yn 2014 yn ardal Caernarfon, maent yn boblogaidd am ganu cyfuniad o gerddoriaeth gwerin gyfoes, roc a ffwnc. Gwelir y band fel 4 aelod sef Elidyr Glyn, Meredydd Wyn, Robin Llwyd a Gwilym. Fe lansiwyd ei albwm cyntaf nol yn 2017 sy’n cynnwys rhai o glasuron eu setiau byw; Barti Ddu, Pen Y Mynydd, Y Dderwen Ddu a Lawr y Ffordd. Mae Bwncath wedi perfformio mewn amryw o lefydd gan gynnwys Tŷ Gwerin yn yr Eisteddfod Genedlaethol. Ffurfiwyd Patrobas fel band gwerin yn nol yn 2014 gyda phedwar aelod sef Wil Chidley, Iestyn Tyne, Carwyn Williams a Gruffydd Davies. Maent i gyd yn enedigol o Ben Llŷn, Gogledd Cymru. Ei EP cyntaf i’w lansio oedd ‘Dwyn y Dail’ yn 2015 ac ers hynny mae’r band wedi mynd o nerth i nerth. Erbyn diwedd cyfnod Haf 2016 daeth ‘Castell Aber’ yn sengl newydd o’r band fel demo ar-lein. Yr albwm mwyaf diweddar a lansiwyd gan Patrobas yw ‘Lle awn ni nesa?’ gan label recordio Sain.